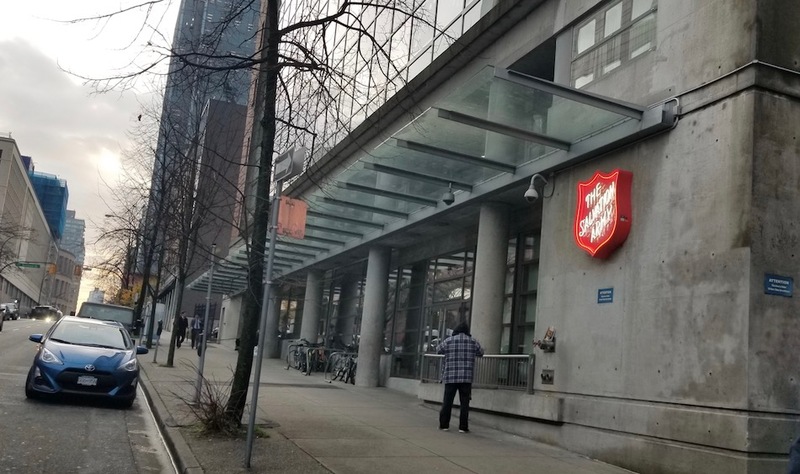 The Salvation Army’s Belkin House in Vancouver shelters more than a dozen refugees. 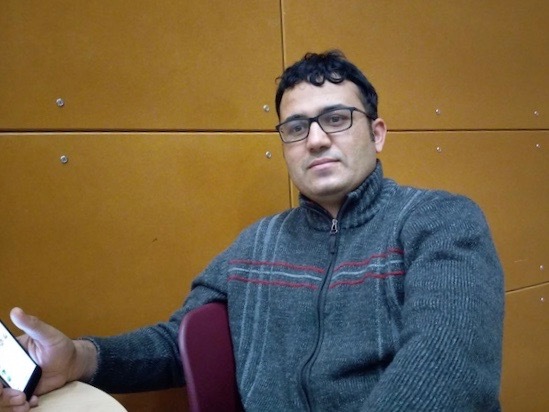 Rohullah Khairkha came to Canada hoping to start a new life. But since walking across the border from the U.S into B.C. two months ago, the Afghan asylum seeker hasn’t been able to find a permanent place to live. Instead, he’s sharing a room with half a dozen other people in a downtown Vancouver homeless shelter. Khairkha says countless landlords have refused to rent to him because he doesn’t have a job and is on government social assistance. Rohullah Khairkha, a refugee claimant from Afghanistan, searching for housing ads on Craigslist. A representative of Tenant Resource and Advisory Centre, a group that advocates for tenants in B.C., see this as housing discrimination. Khairkha’s situation is similar to that of many refugee claimants — a category of refugees who come to Canada through irregular entry and then seek asylum. Many get stuck in limbo when they arrive in Canada, unable to find a permanent place to live while they wait for their asylum application and work permit to be processed. Data from Immigration, Refugees and Citizenship Canada shows that around 2,300 refugee claimants sought asylum in B.C. in 2017. According to a survey by Immigration Services Society of B.C., a non-profit assisting government-sponsored refugees in British Columbia, four per cent of them are either precariously housed or experiencing absolute homelessness. The same survey found that refugee claimants face difficulties in accessing housing due to the lack of available affordable housing. Those claimants felt that landlords who are looking for stability in their renters are hesitant to rent to refugee claimants. Lutfullah Behzad lives in a shelter in downtown Vancouver and struggling to rent a place to live. Khairkha says more than a dozen other refugee claimants are currently staying in the shelter where he’s living. Lutfullah Behzad, another refugee claimant from Afghanistan, is also struggling to find a place to rent. He owned a home in Afghanistan but is now living in The Salvation Army’s Belkin House shelter in Vancouver. “I wasn’t expecting to be unable to rent a permanent place,” said Behzad. He says living in a shelter has negatively impacted his mental health. Living in a crowded and noisy place, sharing a bedroom with strangers, and having to leave his bed at 7 a.m. – as is mandatory in the shelter where he lives—is proving hard to get used to. “It is hard. It creates a lot of mental pressure beside the stress that I’m already having about my asylum papers. My family is still in Afghanistan which is another concern for me. It is all too much and difficult,” Behzad says. Chris Stephenson.stands in front of ISS of B.C.’s main office in Vancouver. 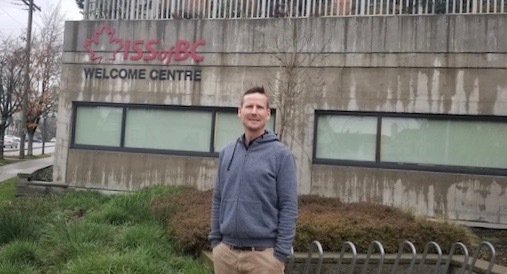 Chris Stephenson, communications co-ordinator with ISS of B.C., said while finding rental housing is a major challenge for refugee claimants, he says the cause is more likely because of B.C.’s housing crisis. “It is more to do with the availability of accommodation and not the fact that there is an issue with certain landlords not being open to having refugees stay in their facilities or any discrimination,” said Stephenson. ISS of B.C. asks the B.C. government to develop contingency plans for new arrivals to ensure timely access to key settlement and refugee claim support and housing search resource, including helping them rent units.